Testimonials & Reviews - Austin, TX: Ziyang Zhou, L.Ac. Dr. Ziyang Zhou always appreciates feedback from his valued patients. To date, we’re thrilled to have collected 52 reviews with an average rating of 4.96 out of 5 stars. Please read what others are saying about Dr. Ziyang Zhou below, and as always, we would love to collect your feedback. Excellent! Very personable and took the time to schedule and call back for an appointment time. Respectful, professional, and very clearly knows what he's doing. Dr. Zhou is professional and compassionate. His office is delightful and his staff friendly and efficient. I always feel better after a visit to Dr. Zhou. I highly recommend him. I have the digestive disorder, and I met with Dr. Zhou on Oct 7. Dr. Zhou is very nice and professional on this, he works just like the famous doctor in China. The herb pellets he give to me is very useful. Dr. Zhou is the best acupuncture doctor in town, hands down. I've gone to many others who don't even compare. Dr. Zhou always has your best interest first. Unlike many Western medicine doctors, Dr. Zhou asks very pointed questions and wants to ensure he has all the information before treating you. His staff is very kind and welcoming and his office is very relaxing. Thanks for taking such good care of me through all my injuries, Dr. Zhou! 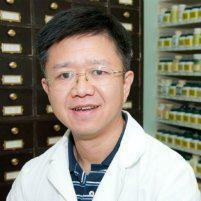 Dr Zhou is a top notch acupuncture doctor. He was initially recommended to me by a colleague of mine and now I am the one who regularly recommend him to my colleagues. I have been treated by him since 2004 at 3 occasions for neck, shoulder and back pain. Acuponcture is what helped me most, without the side effects of pain killers. I always felt much better already right after at the first session. Dr Zhou quickly understands your medical issue and in no time you are already comfortably set up with the needles at the right places. He sometimes uses an additional electric current that feels like a gentle massage, together with a heating lamp. You feel no pain. Instead you enjoy a 30 min or so of relaxation, followed by a gentle manual massage. Dr Zhou is very kind and is staff is courteous. They do every thing they can do accomodate your busy schedule. Dr. Zhou is very professional and demonstrates a level of care and concern not often found in the medical industry today. I would highly recommend him. Best Acupuncturist in Austin! He initially treated me for female infertility issues. I conceived within 2 months. Currently treating me for pregnancy aches and pains. Dr. Zhou at Pine Mountain is incredible. I've had about 15 treatments so far, and my back and elbow injuries feel much better. For five years the acupuncture, herbs and consultation that I have received from Dr. Zhou have created a sense of ease in my system and daily life. Such a rare and qualified practitioner. Has helped both me and my children immeasurably with a number of health issues. Highly recommend.